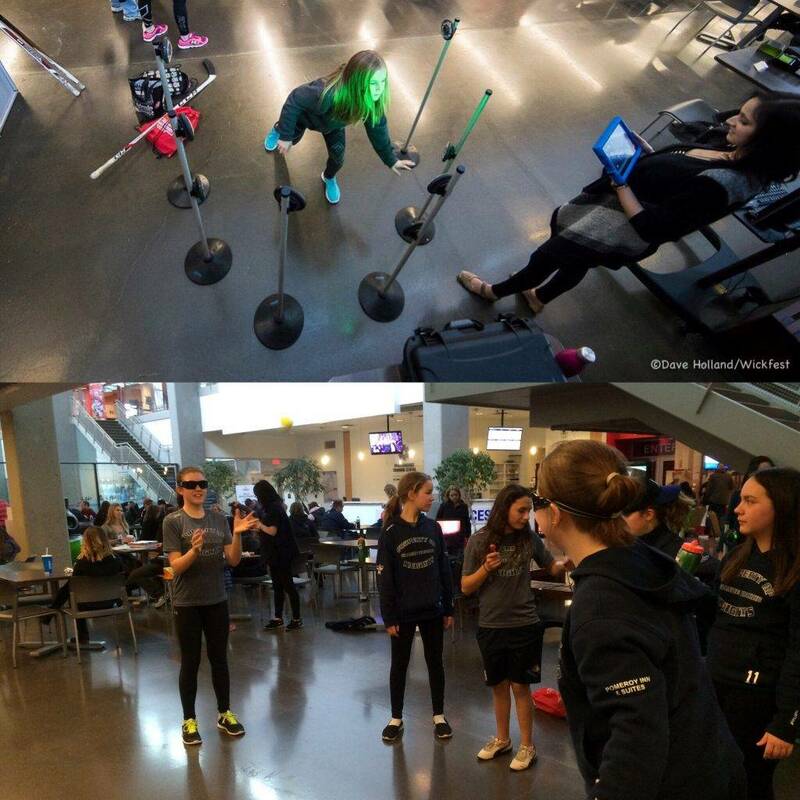 We had the wonderful opportunity to participate at an empowering and inspiring hockey event for girls. This special weekend is the dream come-to-life of six-time Olympian Hayley Wickenheiser. Hayley is pleased to host her seventh festival in this exciting city and venue, in partnership with Girls Hockey Calgary and Rocky Mountain Female Hockey League. Over the course of two four day weekends in November 1,500+ players will compete and connect while building positive female hockey experiences across all levels. At the event, we had a Sports Vision Training station to highlight how important vision and perception can give you the extra edge to become a better athlete. To learn more, take a look at this Sports Vision Training Handout composed by our exceptional intern, Monica Bell. Also, much thanks to Drs. 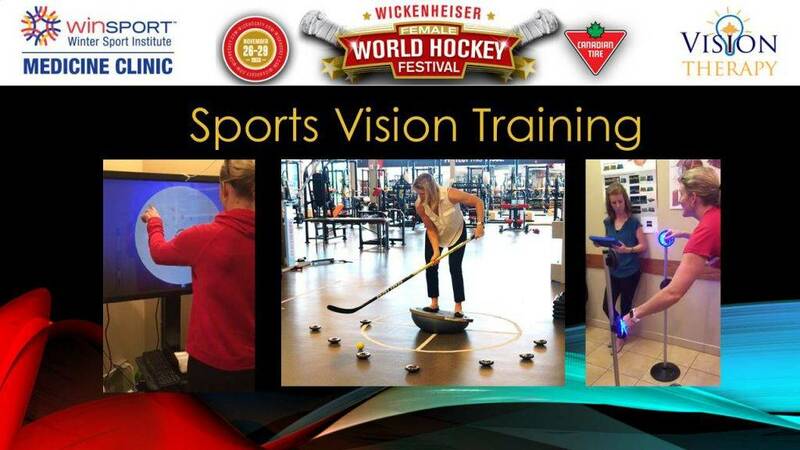 Jillian Yeaman, Cassandra Biro and Monica for showing the athletes the fun vision training tools! In between hockey games, the athletes are working to improve visual skills such as tracking, eye hand coordination, peripheral vision, depth perception and dynamic visual acuity. 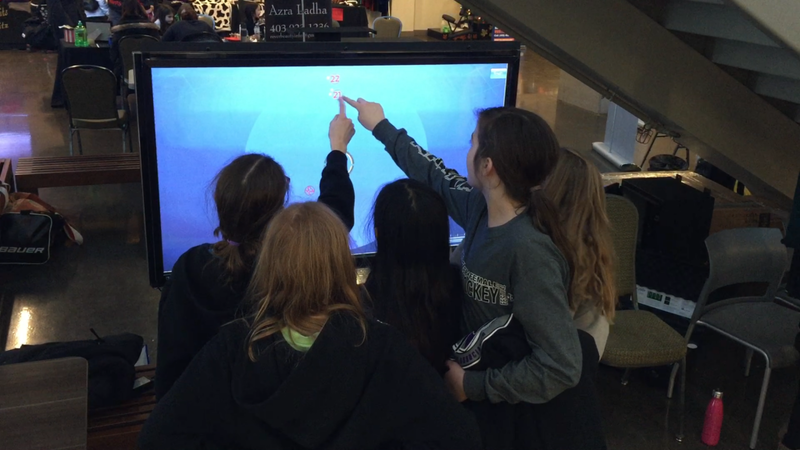 The girls are eager to find the all the numbers on the rotation visual scanning board as fast as they can! 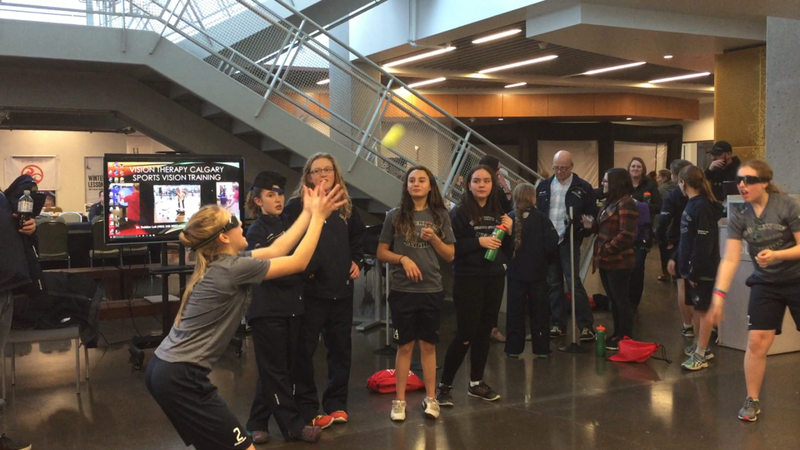 Catching and throwing a tennis ball with Strobe sports vision training glasses. After training with them, athletes describe seeing the world in slow motion, hence improving their reaction time! 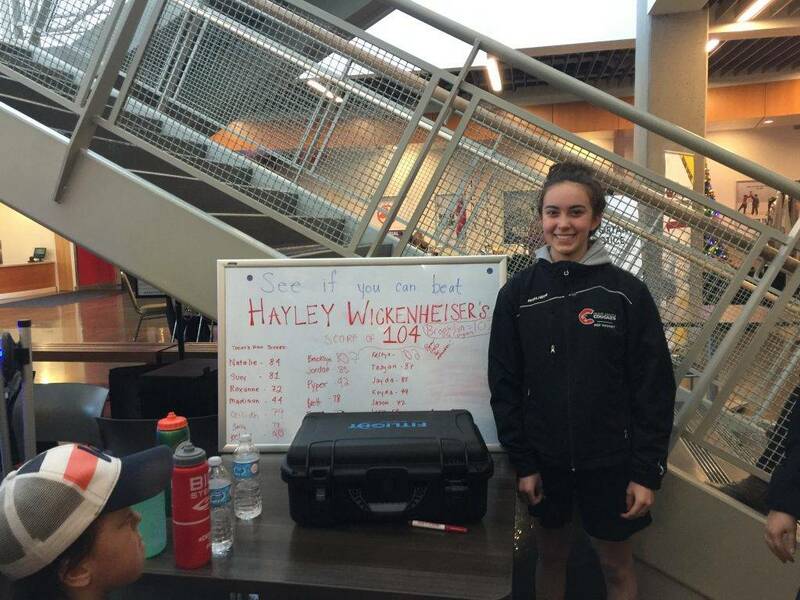 Congrats to Brooklyn Hill from Prince George Cougars for beating Hayley’s high score on our eye-hand reaction/peripheral vision training program! Well done! !